A common problem with most performance Nissan RB engines is the oil pump drive. Originally Nissan built their crankshafts with a small drive on the snout, and the inner oil pump gear only contacting on a fraction of this drive. Over the years we have developed our own style of replacement drive machined from a billet piece of 4340 (high tensile) steel. 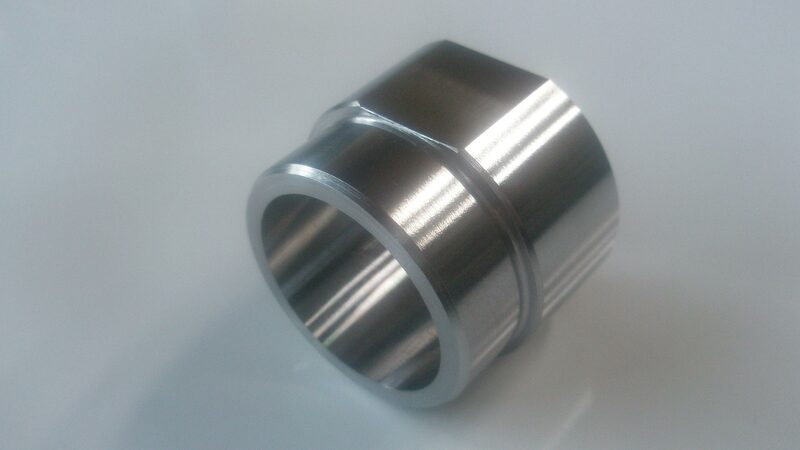 Machined in a precision lathe, we tend to leave our drive slightly oversize, so that once fitted to the crankshaft we can set it up and grind it to its final size guaranteeing concentrically. Nissan RB Oil Pump DriveAt Car-Aid the process begins by setting your crankshaft up in the crank grinder and grinding the original oil pump drive off. We believe this to be better than the practice of doing it in a lathe as once ground the surface on the crank is smoother and ensures full contact allowing better heat transfer on the replacement drive and thus eliminates any chance of the drive slipping and also guarantees perfect alignment between the oil pump drive and the front main journal.